The Golden Nugget has been approved by state regulators to join the real-money Internet gambling hard launch in New Jersey. As many will recall, the casino was not satisfied with their online gaming offerings following the five-day soft launch period and requested more time to improve their product. The New Jersey Division of Gaming Enforcement (DGE) agreed, so the Golden Nugget was temporarily left behind when six Atlantic City casinos began their hard launch on November 26. All systems are now go for Golden Nugget, as the casino was cleared by DGE officials as of 12:01 a.m. on December 14. 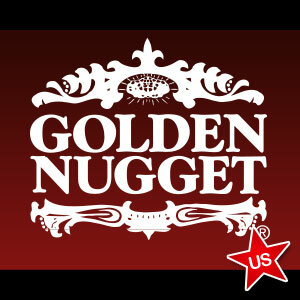 Golden Nugget now takes is rightful place alongside the Borgata, Trump Taj Mahal, Bally’s, Tropicana, Caesars and Trump Plaza in offering online gambling to New Jersey residents and tourists. GoldenNuggetCasino.com lists 77 Internet gaming titles available, with several of those not even offered at the land-based location. Those 77 game options are more than any other Atlantic City casino has on their online menu, which is part of the Golden Nugget’s goal of providing first-class Internet gambling. Along with a plethora of poker and casino games, the Golden Nugget also offers a number of deposit options aimed at making life easier for online gamblers. While the standards of Visa, MasterCard and bank transfers can be selected by those wishing to deposit and play at Golden Nugget, personal checks, cash deposits at the live casino cashier cage, and a prepaid Discover card are also available options. Of the state’s 12 casinos, five are not currently making use of the option to acquire an online gambling operator’s license that is available only to land-based casinos. Resorts, Showboat, Atlantic Club, Harrah’s and Revel have yet to enter the online gambling space in New Jersey. Showboat and Harrah’s are two of the four Atlantic City casinos owned and operated by Caesars, who is already up and running in New Jersey through Caesars Atlantic City and Bally’s. The Resorts Casino Hotel was dealt a blow when its intended Internet gambling partner, PokerStars, received notice last week of a two-year suspension regarding review of its igaming license application. PokerStars is having a difficult time in New Jersey, first failing in a bid to acquire the Atlantic Club earlier this year and now running into DGE regulators who seem to value integrity over revenue potential. The alleged flouting of the UIGEA from 2006-2011 is coming back to haunt the world’s top poker site. The Atlantic Club and Revel have been struggling financially, with both recently filing for bankruptcy protection in New Jersey courts. The Atlantic Club is on the fast-track to be sold at public auction, with bids expected to come in lower than the $15 million that PokerStars agreed to pay for the casino about one year ago. Online gambling in New Jersey is now seemingly alive and well. Revenue numbers have not yet been released by DGE officials, who have promised to do so on Jaunary 14. If those revenue totals are anywhere near the hundreds of millions projected in earlier studies, other states may soon jump on the online gambling bandwagon.